You might not know this, but all straight razors can last a lifetime. Whether you are buying a custom, beginner, intermediate or extreme razor, no more monthly payments, ever. What makes a Custom Straight Razor - The main difference is artisan customization. 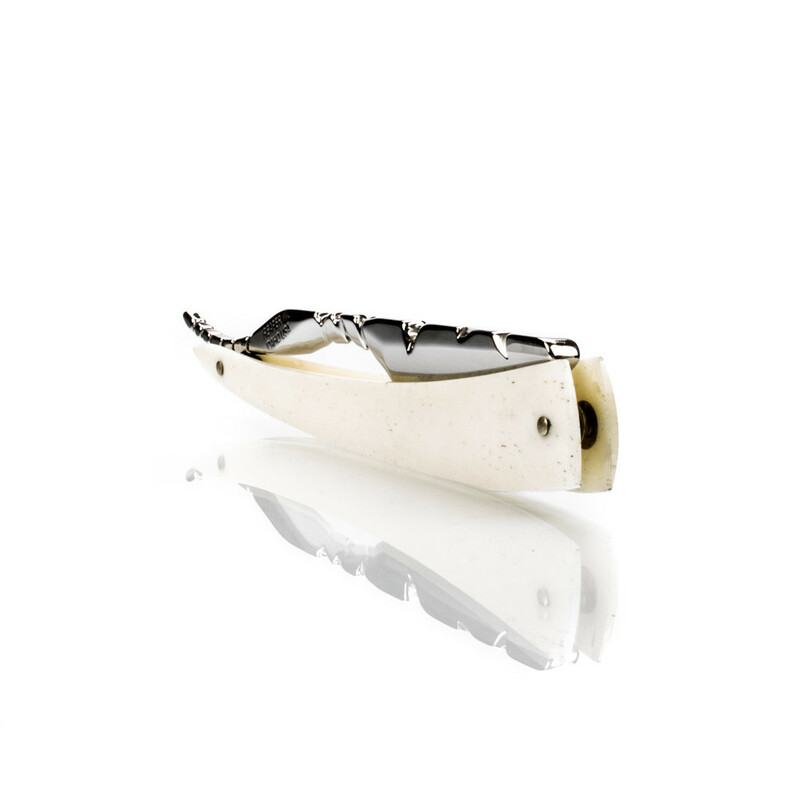 Our custom razors are all designed and built to the highest straight razor standards and will last a lifetime. They have all been hand honed by a skilled American honemeister and are shipped shave ready. Each custom and signature series razor is individualy hand crafted using the finest material and often introducting some of the more exotic materials the world has to offer for the blade and scales (handles); along with the often square or flared tip. Most custom razors have a sharp square tip for closer access to tight areas. So if you are considering straight razor shaving or are looking for a gift for someone who has never straight razor shaved before, this is the place to start. For the finest handcrafted straight razors you will want to checkout the custom straight razors below.